Polish transfer pricing regulations refer to and link directly to the OECD principles. Moreover, they are changing to be in line with current OECD standards: Poland has already incorporated country-by-country reporting rules (CbCR), a three-step approach to transfer pricing documentation (master file, a local file and CbCR) and guidelines on low value-adding services. Despite this, OECD standards are not formally implemented as a part of Polish domestic law. However, they are a source of interpretation in practice, not only for taxpayers or tax authorities, but also administrative courts. 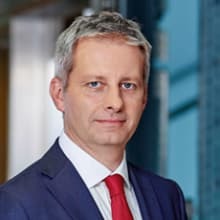 Polish transfer pricing regulations apply to income taxes, both corporate income tax (CIT) and personal income tax (PIT), covering corporations (legal persons or units without legal personality) and individuals. As Polish law does not recognise trusts, there are no specifics applying to them. Further, there are also transfer pricing regulations implemented on the grounds of value added tax (VAT). there are familial relationships (marriage, relationship or affinity to the second degree4), employment or property relationships between domestic entities or managerial, controlling or supervisory personnel of those entities, and if any person jointly performs managerial, controlling or supervisory functions in these companies. an employment relationship (only in the case of domestic entities). Polish legislators have implemented a very wide definition of 'transfer price' since 1 January 2017. 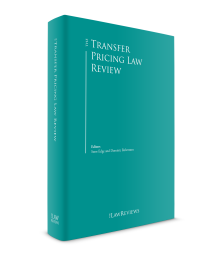 According to recent amendments, the transfer price is not only the price used in all transactions, but also other events reported in accounting books between related parties. This also includes a company deed of a company without legal personality, a joint venture agreement or another similar agreement. The definition of transfer price covers also making – whether directly or indirectly – payments of receivables to an entity having its place of residence, registered office or management board within a territory or country that applies harmful tax competition, where such payments arise out of transactions or other events, including a company deed of a company without legal personality, a joint venture agreement or another similar agreement. However, Polish legislators have not imposed transfer pricing obligations on all transactions and other events between related parties. The main criterion when identifying a taxpayer's responsibilities is 'a significant influence' on the amount of related parties' income (loss). This 'significant influence' also differs depending on the scale of the taxpayer's business (met thresholds), that is, the amount of revenue or costs (within the meaning of accounting regulations) established from the maintained accounting records of taxpayer in the year preceding the given tax year. Tax authorities may also request a taxpayer to prepare and present transfer pricing documentation covering transactions or other events whose value does not exceed the limits defined as 'significantly influencing'. Such request may be filed only when it is likely that the value of the transaction or other event has been understated to avoid the obligation to prepare transfer pricing documentation. Tax authorities must then indicate the circumstances that justify their suspicions and demands. transfer of the risk of debtor's insolvency in terms of debt receivables due to loans other than loans granted by banks and credit unions, including under derivatives agreements and similar. Excluded from the above are services covered with advance pricing agreements (APAs), as well as costs of intangible services directly related to production of goods or provision of services. Limitations will apply to services in excess of 3 million zlotys. where any of the aforementioned persons join management, supervisory or control functions performed for contracting parties. Following the above, transfer pricing for VAT purposes is defined as: 'remuneration for the supply of goods or services between a related customer and person accomplishing the supply of goods or supplier'. In this case, in contrast to the CIT/PIT regulations, VAT does not recognise any thresholds and amounts of significant influence. Since 2017, a tripartite approach to transfer pricing documentation has been introduced in Poland. This means that, depending on a taxpayer's situation, a taxpayer may be obliged to prepare transfer pricing documentation that meets the requirements of a local file, a master file or a CbCR. Besides documentation requirements, other tax obligations to fulfil exist, depending on the taxpayer's classification according to certain thresholds. They are calculated on the level of: €2 million, €10 million, €20 million and €750 million (revenues or costs calculated as indicated in Section I). arrangements pertaining to income tax made with the tax administrations of countries other than Poland, pertaining to transactions or other events including pricing arrangements. The taxpayer is obliged to prepare transfer pricing documentation no later than the last day for filing an annual tax return (financial data should be prepared within the period of 10 days from the day of approving the financial statements). Within the same term, the taxpayer is obliged to file its declaration on the preparation of transfer pricing documentation to the pertinent tax office. On the request of the tax authority, the taxpayer is obliged to prepare and present transfer pricing documentation covering a transaction or other event which is below the 'significant influence' threshold. In such case, the obligation should be fulfilled within the period of 30 days from the delivery of the request. €10 million The taxpayer is obliged to prepare a local file (as mentioned above) and benchmarking study. Besides the above, the taxpayer is obliged to submit a simplified report on the transactions or other events with related parties (CIT-TP form) along with the tax return. a description of the arrangements pertaining to income tax made by the entities comprising the group with tax administrations of countries other than Poland, including unilateral prior pricing arrangements. €750 million Besides the obligation to prepare the master file, a taxpayer has to file the CbCR with its tax office. The CbCR includes information on: the amount of income generated and tax paid; locations in which the capital group pursued their activities; and the location of the activities of their subsidiaries and foreign establishments that form part of the capital group during a given fiscal year. Besides the above, the taxpayer is obliged to file the CbCR with the tax office within the period of 12 months following the end of the taxpayer's fiscal year. The transfer pricing documentation pertaining to transactions or other events carried over into the next fiscal year has to be periodically reviewed and updated at least once in every fiscal year, before the end of the period for the submission of the annual tax return. Further, taxpayers are obliged to provide benchmarking studies of transactions or other events, and should also update such studies at least once every three years, unless there is a change of economic conditions to the extent that has a significant impact on the analysis of comparative data which justifies conducting a review during the year in which such a change takes place. The conditions under which transactions or other events are performed between related parties should comply with the conditions agreed upon between independent entities, or conditions established by the party with an independent entity in comparable circumstances. Therefore, transfer pricing regulations6 indicate that all terms of transactions or other events between related parties should be presented in a comparability analysis (a benchmark or benchmarking study). It is an essential tool for both tax authorities (examining the terms of a transaction between related parties) and taxpayers (defending the method of transfer pricing applied). It also helps to evaluate whether the arm's-length principle is satisfied or not, as without it market prices would be hard to determine. It must be stated that transfer pricing regulations concerning the comparability analysis and its requirements bind only tax authorities, whose actions have to be evidenced and explicitly permitted by an act of law. Consequently, the comparability analysis presented by taxpayers may have a less restrictive form, as its main goal is to prove the given price is set at the market level. If the comparability analysis is effective in this matter, it cannot be questioned. an economic strategy – taking all the features of the analysis into consideration, its aim is to identify not only the conditions of the transaction that would be set by independent entities, but also the most appropriate pricing method. The comparable uncontrolled price method, the resale price method and the cost-plus method are indicated as basic models and are used initially. There is no hierarchy among them and they are treated as being equivalent to each other.11 Under previous transfer pricing regulations in force before 2013, the comparable uncontrolled price method had priority over others. However, this rule was repealed and the legislature underlined the freedom to select the transfer pricing method. When choosing the transfer pricing method, you should take into account which of the basic models appears to be the most effective. If none of them can be used, profit split methods may be applied. In January 2016, representatives of the Polish government signed the Multilateral Competent Authority Agreement concerning the automatic exchange of information contained in CbCR forms. In parallel, the specific provisions on CbCR were also applied from 1 January 2016, imposing a tax obligation to submit information about the group within a period of 12 months following the end of the taxpayer's fiscal year. The requirements of content and structure of the CbCR were introduced in the Regulation of Minister of Development and Finance,12 which is consistent with the forms recommended by the OECD in BEPS Action 13 – 2015 Final Report. Moreover, the Act of 9 March 2017 on Tax Information Exchange with Other Countries introduced the exchange of tax information concerning, for example, the automatic exchange of information on advance pricing arrangements (APAs), tax rulings and CbCRs. Thanks to those regulations, Polish tax authorities have gained new tools to gather information and evidence about taxpayers and their related entities. Consequently, one may predict that the international and global tax position standard and the profit share per jurisdiction assessment will be standard in the future. Polish transfer pricing regulations do not define intangible assets. However, the concept of intangible assets is raised on the occasion of the depreciation regulations under the CIT and PIT Acts and is defined as copyright or related property rights, licences and rights referred to in the Industrial Property Law and 'know-how'. The definition of intangible assets should nevertheless be defined more widely for transfer pricing purposes because it covers not only transactions but also other events between related parties. When it comes to general approaches to dealing with intangible assets, transfer pricing regulations do not provide any specific regulations in this matter, and in particular do not impose an obligation on a taxpayer to show where the substance developing, supporting or exploiting the intangible asset is based to justify a higher than passive return. When it comes to pricing and cost distribution methods, the general rules described in Section III are applied. The only distinction for intangible assets provided in transfer pricing regulations concerns the examination and questioning of used prices and cost distribution between related parties from the tax authorities' perspective. With regard to the above, tax authorities examine intangible assets transactions or other events as to whether independent entities acting reasonably would have concluded the transaction or other event on the terms and conditions as agreed between the related parties. In cases where the reasonably expected benefits to the party are obviously lower than the expenses incurred in connection with this transaction or event, the party should indicate the rational reasons for this. When the party does not present a rationale, the tax authorities examine the correctness of the amount of incurred expenses, including also the costs conditioning the use of a given intangible asset. In the case of a taxpayer's participation in the costs jointly incurred by related parties to create an intangible asset, the amounts paid by the taxpayer can be regarded as compatible with the arm's-length principle only when such terms and conditions could have been agreed between independent parties. In particular, conditions of the transaction or other event should be proportional to the expected benefits and burdens of the parties. Also, the benefits that were not expected (included) when determining those conditions should be proportionally distributed. Moreover, transfer pricing regulations order a party to accept lower cost values in the situation where the taxpayer had the opportunity to obtain comparable benefits under the agreement with a related party or from an independent entity, when in one of these cases lower costs would be incurred. APAs were introduced into the Polish tax system from 1 January 2006 and are regulated in the Tax Ordinance Act. Polish APAs were not applied to be fully in line with OECD guidelines. In contrast to OECD solutions, Polish APAs cannot be treated as an agreement concluded between a taxpayer and tax authority. Procedurally, a solution implemented into the Polish tax system is a decision issued by the competent authority overseeing tax administration – the head of the National Fiscal Administration (NFA) – and for this reason, it constitutes a unilateral and domineering act of an administrative case settlement. The APA decision may then declare: the comparability of material conditions determined between related parties with the conditions that would have been determined by independent entities, and the correctness of the used pricing method choice; or the comparability of material conditions determined in a cost distribution agreement concluded between related parties with the conditions that would have been determined by independent entities. For a taxpayer, APAs are a tool to reduce the risk of the tax authorities challenging pricing or cost distribution than a tool to jointly develop terms of pricing or cost split between related parties. The procedure to issue an APA decision starts with a domestic entity's request, indicating: the proposal of pricing or cost distribution methodology; reasoning for this method; and necessary materials and documents including a complex economic and financial analysis of the transaction and proposal regarding the decision's validity period. The scope of the request cannot concern transactions completed before the date of the submission of the request or transactions started before such date that are already subject to tax audits before the tax authorities or administrative courts. Therefore, the APA decision mainly covers future transactions. The Polish Tax Ordinance Act distinguishes three categories of APA decisions: one-sided, bilateral and multilateral. One-sided APA proceedings are carried out by the Polish tax authorities. The bilateral APA decision is in turn concluded between domestic and foreign entities and requires the approval from a tax authority of the given foreign country. If an arrangement concerns entities from more than one foreign country, the approval of each foreign tax authority is necessary to be able to conclude such multilateral APA decision. It must be emphasised that only APAs concerning pricing may be bilateral or multilateral, as the Tax Ordinance Act does not provide such possibility when it comes to cost split agreements. The proceedings to issue the APA decision do not differ much from a typical tax audit: the applicant has to fulfil formal requirements, is entitled to submit additional clarifications and documents and even change the proposed pricing method (by the time the decision is issued) or withdraw the request. According to the Tax Ordinance Act, the APA proceedings should be completed without undue delay. The maximum limitation periods for case settlement are six months for a one-sided decision, a year for a bilateral decision, and 18 months for multilaterals. 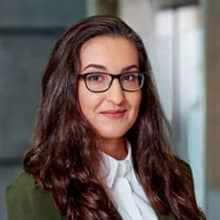 Yet, these terms are considered as procedural time limits and their expiry does not deprive the tax authority of the ability to issue a decision. The Tax Ordinance Act imposes obligations on tax authorities to notify the applicant when the proposed pricing method is contrary to the conditions that would be agreed upon by independent entities. Such notification contains a factual and legal substantiation and gives the applicant the possibility to amend its proposal, submit additional clarifications or even withdraw the APA request within 30 days from being filed. Similarly, in the case of bilateral and multilateral APA decisions, when the tax authority competent for a foreign entity does not consent to the conclusion of an arrangement or if it may be reasonably expected that such consent will not be granted within six months from the day it is applied for, the tax authority has to notify the applicant about such fact. Consequently, within 30 days from the delivery of the notice, the applicant may: withdraw the application for the APA decision; change its application from bilateral to unilateral; or change its application from being multilateral to being bilateral. The APA decision may be issued for no longer than five years, which may be renewed for subsequent periods, albeit no longer than five years, upon the request of a domestic entity filed no later than six months before the lapse of the previous period of validity. The renewal, which is also proceeded in a form of the decision, is possible if the elements of the decision did not change in any significant manner. Such renewed APA decision enters into force as of the day following the day on which the validity period of the previous decision has elapsed. The APA decision may be amended or declared as expired before the end of its validity period only in the case of a change of economic relations that results in the agreed terms of transaction being grossly inadequate. The procedure for this matter may be initiated by the party itself or ex officio. It must be stated that the term 'change of economic relations' was not explained in more detail. However, one may assume that the term should be interpreted as a situation significantly different and extraordinary from that in which the APA decision was issued (e.g., hyperinflation or a significant change in exchange rates).13 Amendments or the declaration of the expiry of the APA decision are in the form of a decision that enters in force from the day of its delivery to the party. The APA decision may be also declared as expired ex officio by the NFA when the related parties do not apply the transaction price or cost distribution determination method or the conditions defined in the decision. Such declaration of the APA's expiry is also in the form of a decision, which enters into force from the day it is delivered. Regardless of the fact of having an APA decision, related entities are not exempt from the obligation to prepare transfer pricing documentation for the transaction. However, the formal requirements are limited. The transfer pricing documentation for a transaction confirmed with an APA decision must therefore consist of its financial data, description and the indication and explanation of pricing or cost distribution method used. There is a lot of criticism regarding APAs functioning in Poland. First, they are considered as an inadequate yet expensive tool, taking into account statutory fees (up to 200,000 zlotys), but also all additional costs such as benchmarks, legal and advisory support costs. Second, the administrative procedure is also far from the flexible atmosphere of negotiations that entities commonly expect. Moreover, the length of the process, which in some cases may last as long as a year, does not meet the reality of a fast-changing business and economic world. Finally, the scant popularity of APAs (see the tables below)14 results also from the fact that Polish taxpayers are not willing to disclose all aspects of a planned transaction to tax authorities when they do not have to. On 12 April 2018,15 the Ministry of Finance announced that it is working on regulations regarding simplified APA. The administrative procedure to gain simplified APA will be shorter (up to three months), simpler and cheaper. A 'small' APA is intended to cover low value-added services and simple trademark and know-how licences only. It will be valid for periods of less than three years. Owing to the new APA regulations and the move towards limiting deductibility of costs from certain services with related parties (which limits do not bind transactions confirmed in APAs), taxpayers' approach to APAs and their popularity may change. VAT grounds – whether the remuneration for goods or services set by related parties (a customer and a person supplying the goods or the supplier itself) was at the market-value level. The transfer pricing investigation may then state that the pricing of the transaction or other event between related parties was in line with conditions that would be set by independent parties, or it may indicate some irregularities arising from the relationship between the parties. In the second case, the tax authorities have the right to determine the taxpayer's taxable amount and tax due (see Section VIII). The investigation may be initiated if the taxpayer's tax liability expires. As a rule, the limitation period is five years beginning at the end of the calendar year in which the time limit to pay tax ended. That means that, owing to the effluxion of time, the tax liability expires by law and the tax authority cannot effectively demand payment of the due tax, as in fact it no longer exists. Nevertheless, the Polish tax system provides a catalogue of numerous circumstances that may suspend or interrupt the limitation period. The most common reasons to suspend the limitation period are: the application of an enforcement measure of which a taxpayer was notified; the commencement of proceedings in a case involving a fiscal crime or fiscal offence of which the taxpayer has been notified; or if a complaint against a decision concerning that liability is filed with an administrative court. Moreover, the limitation period is also interrupted with the taxpayer's declaration of bankruptcy. There are three types of tax investigation that may consider transactions or other events between related parties: a tax audit; tax proceedings; and a customs and fiscal audit. The choice of tax investigation depends mostly on whether a taxpayer to investigate has been chosen and what kind of tax authority is going to perform such investigation. A tax audit starts with a notification being sent to the taxpayer that a tax audit is to be conducted. The tax audit is initiated no earlier than seven days and no later than 30 days from the delivery of such notice. In certain circumstances, a tax audit may be conducted without giving prior notification (e.g., a fiscal or commerce offence is committed). The tax audit must be conducted within the period indicated in the authorisation (i.e., the document authorising the tax authority to initiate a tax audit), and during a single calendar year cannot exceed 28 business days. The limitation periods are established in the Business Freedom Act and depend on the taxpayer's qualifications as a micro, small, medium-sized or large entrepreneur. The tax audit ends with the delivery of the tax authority's protocol. Such protocol consists of a description of the facts of the case and a legal assessment, but it does not constitute the taxpayer's liability. If the tax audit indicates some irregularities, after the delivery of the protocol, the taxpayer may: agree with the tax authority and correct its tax settlements and tax return; or make reservations and clarifications to the protocol within 14 days after its delivery. The tax authority is then obliged to review them within the next 14 days. A tax audit that has ended with a dispute between the tax authority and the taxpayer usually continues in the form of tax proceedings. The main aim of tax proceedings is to settle the case by issuing a pertinent decision. To issue the pertinent decision, the tax authority will establish the case facts, collect evidence and make the most appropriate tax assessment. In most cases, tax proceedings are initiated by the tax authority when the tax audit reveals taxpayer irregularities. Although it is unusual, tax proceedings may be initiated upon a taxpayer's application as well. Tax proceedings should be settled without undue delay. When requiring evidentiary hearings, limits are longer and are set as a month, or in particularly complicated cases, two months from the day proceedings began. In practice, these limits are not kept and tax authorities extend them due to case complexity. Tax proceedings are a two-instance procedure. The first ends with a decision which may be subject to the taxpayer's appeal. The taxpayer's appeal must be submitted within 14 days counting from the date of the delivery of the decision. In such case, the upper instance examines the whole case anew and settles the case with a further decision. Appellate proceedings should be settled at the latest within two months from the submission to appeal, and in cases where a trial was conducted at the latest within three months. The above-mentioned time limits are often extended by tax authorities. The decision of the upper instance is final and enforceable. However, such decision still may be challenged by lodging a complaint to the voivodeship administrative court (see Section VII). The customs and fiscal audit was introduced into the Polish tax system from 1 March 2017 and it replaced the fiscal audit procedure. Tax authorities that may initiate such investigation are customs and fiscal offices. The audit is initiated only ex officio on the basis of authorisation to carry it out. To resolve the matter that led to the authorisation being issued, the taxpayer may correct its tax returns within 14 days of receiving the authorisation. After that date, corrections made before the end of the customs and fiscal audit have no legal effect. Customs and fiscal audit cases should be settled without undue delay, but not later than within three months of being started. Similarly to other investigation procedures, tax authorities may also in this case extend the period of the investigation. The customs and fiscal audit ends with the delivery of the audit's findings. Similarly to the tax audit, the taxpayer has the right to correct its tax settlements and tax returns within 14 days of the audit's delivery. If irregularities were indicated during the audit and the taxpayer did not correct its tax settlements and tax returns, the audit investigation transforms into tax proceedings. Such tax proceedings are continued by customs and fiscal offices in line with the scheme described in Section VI.ii. Transfer pricing cases may be the subject of a dispute before administrative courts only when the taxpayer lodges a complaint against the tax authority's decision. The complaint must fulfil formal requirements (e.g., be submitted within 30 days of the delivery of the decision via the tax authority that issued the decision). When a complaint is lodged, the administrative authority is under an obligation to turn it over to the court with the relevant files and to prepare a response within a period of 30 days from the date it is submitted. It must be emphasised that the complaint is not particularly formalised since it only has to meet the requirements of a letter in a court proceeding. In examining the tax authority's decision, the court's main task is to check whether the decision was taken in accordance with the law, both in terms of substantive and procedural provisions. Although the court rules within the limits of the case, it is not bound by the claims or statements made in the complaint or the legal grounds raised by the party (i.e., a taxpayer or a tax authority). Consequently, the court independently assesses the correctness of the decision. What is important is that the procedure before the administrative courts does not provide extensive evidentiary proceedings. Although the regulations of the Law on proceedings before administrative courts16 allow evidence to be taken from documents, in practice courts reject parties' applications to submit evidence. The administrative courts may dismiss the complaint, overturn a decision fully or partially, or be confirmed fully or partially invalid. The administrative court's decision may be appealed to the Supreme Administrative Court, whose judgment is final. A cassation appeal is lodged via the court that issued the judgment, within 30 days from the date of judgment and its delivery of its justification. The cassation appeal may only be based on strictly defined grounds, namely the violation of substantial law – due to an erroneous interpretation or incorrect application of law, or the breach of procedural regulations if said infringement could have seriously affected the outcome of a particular case. It is also more formalised than a complaint to the administrative court (e.g., the cassation appeal has to be prepared and submitted by professional proxy (advocate, attorney at law or tax adviser)). As of 1 January 2017, transfer pricing regulations have significantly changed and consequently they will be applied to transactions or other events that occur or have occurred during the 2017 tax year. For this reason, new regulations haven't been subject to juridical interpretation. Nevertheless, recent judgments may continue to be relevant. This case regarded the obligation to prepare transfer pricing documentation for transactions between related treasury companies. The transactions concerned shares and stocks contributions to the related company. The Supreme Administrative Court stated that the transfer pricing regulations and resulting taxpayer's obligations also apply to transactions involving the transfer of goods, money and other things of value. Whether an economic operation triggers any income tax to be paid does not matter. Therefore, transfer pricing documentation is also required in the case of tax-neutral transactions. This case regarded the consequences of not fulfilling the taxpayer's obligation to prepare transfer pricing documentation. The Supreme Administrative Court ruled that such infringement does not automatically exclude the taxpayer's right to deduct expenses from an undocumented transaction. According to the judgment, only when the transaction price is contrary to its market value is it possible to use the exclusion from tax-deductible costs. The Court agreed with the tax authority on the correct application of the income estimation procedure due to the non-arm's-length pricing of transaction. Against a taxpayer's pricing weighed the following facts: sales of finished products were performed below the costs of their production (as a result of the increase in raw material prices), not even distribution of risks between the parties and payments in a 96-day payment period. This case concerned a taxpayer that provided subcontracting services on behalf of a related foreign company. The taxpayer also incurred licence fees under an agreement with that related foreign company in connection with subcontracted services. The licence fees were listed among deductible expenses. The tax authorities questioned the possibility to deduct those expenses and the court agreed with the tax authorities' understanding. According to the judgment, the taxpayer did not bear any risks associated with the implementation of orders for its services. The licence fees also do not affect the number of received orders for a taxpayer's services. In conclusion, the court stated that a taxpayer's licence fees could not have been classified as tax-deductible expenses as there is no relation between the taxpayer's income and expense. In addition, the court noted that the agreement introducing licence fees between the taxpayer and the related foreign company was concluded four years after the concerned period; therefore evidencing that the described activities were meant to be an income transfer from the taxpayer to a related entity. This judgment was an example of in-depth analysis of a transaction from the perspective of economic rationality and business, and this line of reasoning will probably be continued in future cases. This case regarded the possibility to estimate the taxpayer's income resulting from transactions between related parties. According to the judgment, the mere existence of a capital relationship between the parties is not sufficient to estimate the amount of tax due from the taxpayer. It is important to examine whether, as a result of links between parties, there were established or imposed conditions that differed from those that would be made between independent entities. Moreover, tax authorities may estimate the income derived from a transaction with a related party only when the taxpayer does not claim income at all, or claims a lower than expected amount without such relationship between parties. Then, the taxpayer's due income tax should be determined as if it were between independent parties. This case regarded the tax authorities' contestation of a property's selling price on which the construction of a shopping mall started. Tax authorities had estimated the market value of the transaction based on data from only one comparable transaction. The court stated that a single observation is not sufficient since it is hard to accept in advance that one transaction between independent entities reflects a typical example of such transactions and can form the basis to determine the market value of the sold property. When performing an investigation (see Section VI), tax authorities are entitled to examine whether related parties have set a transaction's conditions differently from those that independent entities would agree upon. In particular, they identify comparable transactions or events and choose the best method to determine their market value. If tax authorities state that the terms and conditions of transaction or other event between related parties differ from those between independent entities, they determine the taxpayer's income and the income tax due. Income tax at a rate of 19 per cent is charged on the difference between the income declared by the taxpayer and specified by the tax authorities. Tax authorities have the right to require the taxpayer to provide them with transfer pricing documentation. In this case, the taxpayer should present the transfer pricing documentation within seven days of delivery of the request. Where the taxpayer does not submit the transfer pricing documentation on time, the tax authorities can levy a sanction tax rate of 50 per cent. The conditions to impose such penalty are: the taxpayer failing to provide transfer pricing documentation, and tax authorities determining the taxpayer's income amount from the transfer pricing transaction or other event as higher (or taxpayer's loss amount lower) than the amount the taxpayer declared by itself. It should be noted that the failure to file transfer pricing documentation does not automatically mean the application of the 50 per cent tax rate is possible. The sanction tax rate may be applied only when the transaction or other event between related parties was set contrary to its market value. The sanction rate is applied in the form of a decision, which has a constitutive character. Therefore, as legal doctrine19 indicates, it cannot be imposed on the taxpayer if the decision fixing the amount of the tax liability was delivered to the taxpayer after three years from the end of the calendar year in which the tax liability arose. when remuneration was higher than the market value and a person supplying goods or services did not enjoy a full right to reduce input VAT. Having mentioned the above, the tax authorities have the right to increase or decrease the tax base for VAT purposes to the transaction's market-value level. As a consequence of redetermining the due VAT or CIT or PIT, the taxpayer has tax arrears. Further, the taxpayer also has to pay penalty interest. The interest rate for tax arrears incurred from 1 January 2017 is 8 per cent. It must also be underlined that the interest rate may be applied at a higher 12 per cent rate when VAT arrears have their source via understating a tax liability, or overstating a tax overpayment or a refund amount that was subsequently discovered by the tax authority during a tax investigation. If a taxpayer fails to comply with tax obligations, it may result in fiscal penal liability. According to the Fiscal Penal Code,20 only individuals may bear fiscal penal liability even if a tax obligation is imposed on a legal entity. Therefore, the liability for fiscal offences rests with an individual who, under the provisions of law, a decision of the relevant authority, an agreement or actual execution, conducts the economic and, in particular, financial affairs of the legal person. Furthermore, a fiscal offence is committed only by an individual to whom guilt may be attributed in the course of an act; however, this does include the awareness of the misconduct along with acceptance thereof. From this perspective, the risk of fiscal penal liability rests in particular with the management board's members and finance or tax director. Non-compliance with transfer pricing regulations may cover several criminal acts, for example, failure to disclose the object of taxation or tax base, tax fraud, obstruction of a tax audit or a customs and fiscal audit, and accounting procedure infringements. Committing a fiscal criminal act may result in the imposition of a pecuniary fine or even imprisonment. In practice, imprisonment is rather theoretical and it refers to very serious economic crimes; however, criminal courts very often hand out pecuniary fines. The pecuniary fine may be up to 720 daily rates. In 2017, one rate may vary between 66.67 and 26,666.66 zlotys. Therefore, the potential maximum fine may be over 19 million zlotys (again, in practice, the criminal courts adjudicate much lower fines). According to those rules, a person may present its case to the Minister of Finance to start the MAP under the Convention of 23 July 1990 on the elimination of double taxation in connection with the adjustment of profits of associated enterprises or on the basis of a DTT with Poland. The MAP procedure may be used when formal requirements are met and within the limit of a three-year term. This term is counted from the date of the delivery to the taxpayer or its related party of the tax audit protocol or tax decision that leads or may lead to double taxation. Polish regulations provide that the MAP is required to be finalised within two years. Moreover, there is also the possibility of a trilateral MAP. The MAP cannot be used as a premise to suspend an ongoing tax proceeding. However, when the MAP has been successfully finalised, it may constitute a premise to revision. See Sections I.ii and VIII.i, 'VAT obligations correction'. The customs aspect of transfer pricing remains unnoticed – at least in Poland – both by doctrine and the customs and tax authorities. However, there are binding customs system regulations covering transfer pricing (e.g., the Union Customs Code, which defines the obligations and duties in this matter). Since 2015, the main policy of the current Minister of Finance is to 'seal the tax system'. New tools and tax obligations have been introduced to fulfil this goal. One such tool is the extension of transfer pricing obligations and their effective enforcement by tax authorities. The number of tax investigations in this matter has increased in recent years; for example, in 2016, a total of 376 investigations were performed.22 The investigations are not only performed more frequently but also are more likely to end with tax liabilities being imposed. We believe that this trend will continue over the following years, reaching the levels seen internationally. 1 Sławomir Łuczak is a partner and Magdalena Polak is an associate at Sołtysiński Kawecki & Szlęzak – Kancelaria Radców Prawnych i Adwokatów Sp.k. 2 Act dated 15 February 1992. 3 Act dated 26 July 1991. 4 A second-degree relative is defined as a blood relative, which includes the individual's grandparents, grandchildren, aunts, uncles, nephews, nieces or half-siblings. 5 Act dated 11 March 2004. 6 The comparability analysis requirements were regulated specifically in the Regulation of the Minister of Finance of 10 September 2009 on the manner and procedure of determining legal persons' incomes by estimation and the method and procedure for eliminating the double taxation of legal persons re: adjustment of the profits of related parties, and the Regulation of the Minister of Finance of 10 September 2009 on the manner and procedure of determining natural persons' incomes by estimation and the method and procedure for eliminating the double taxation of natural persons re: adjustment of the profits of related parties. 7 Wójcik Zbigniew, 'Metoda porównywalnej ceny niekontrolowanej' in: Nykiel Włodzimierz, Strzelec Dariusz, Podmioty powiązane. Ceny transferowe. Dokumentacja podatkowa, LEX 2014. 8 Kosieradzki Tomasz, Piekarz Radosław, Ceny transferowe. Nowe zasady dokumentacji, 'Rozdział 6 Metoda ceny odsprzedaży', WK 2016. 9 Kosieradzki Tomasz, Piekarz Radosław, Ceny transferowe. Nowe zasady dokumentacji, 'Rozdział 5 Metoda rozsądnej marży (koszt plus)', WK 2016. 10 Wójcik Zbigniew, 'Metoda marży transakcyjnej netto' in: Nykiel Włodzimierz, Strzelec Dariusz, Podmioty powiązane. Ceny transferowe. Dokumentacja podatkowa, LEX 2014. 11 Judgment of the Administrative Court in Wrocław dated 14 January 2011, Case No. I SA/Wr 1253/10. 12 See: the Regulation of the Minister of Development and Finance on the detailed scope of data transferred information about a group of entities that will be passed in the CbCR dated 13 June 2017, in Polish: 'Rozporządzenie Ministra Rozwoju i Finansów w sprawie szczegółowego zakresu danych przekazywanych w informacji o grupie podmiotów oraz sposobu jej wypełniania'. 13 Dowgier Rafał, 'Commentary on Article 20(k) of the Tax Ordinance Act' in: Brolik Jacek and others, Ordynacja podatkowa. Komentarz, LEX 2013. 14 Statistics dated 30 January 2018 presenting already concluded APAs and those that are still in progress www.finanse.mf.gov.pl/cit/ceny-transferowe1/uprzednie-porozumienia-cenowe-apa/statystyki-apa. 16 Act of 30 August 2002. 17 Sławomir Łuczak, Karolina Gotfryd, The Tax Disputes and Litigation Review, Fifth Edition (Law Business Research), Poland, Section III. 19 Kosieradzki Tomasz, Piekarz Radosław, Ceny transferowe, Mechanizmy ustalania i zarządzanie ryzykiem, 'Rozdział 18. Sankcje w zakresie cen transferowych'. 20 Act dated 10 September 1999.